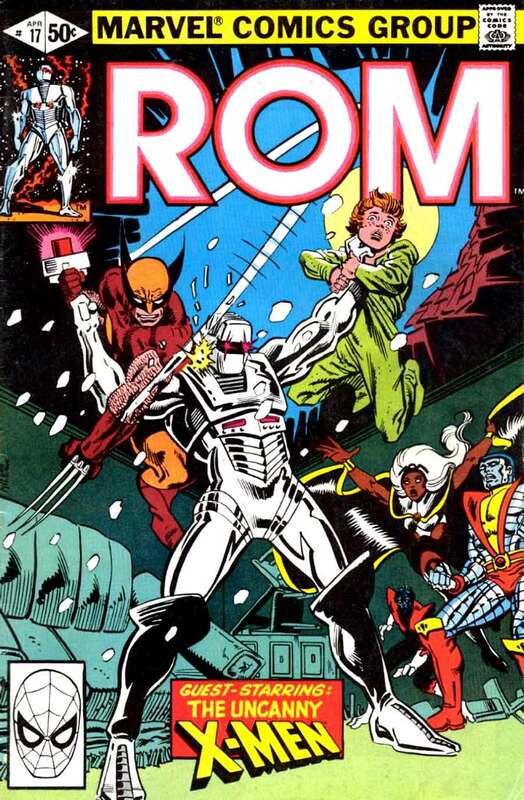 Our 1980s' covers continue this time featuring ROM The Space Knight squaring off with the X-Men. This cover is by the great Frank Miller and ROM was released as comic book through Marvel originally to sell a line of action figures but he made appearances through the Marvel Universe over the years until recently as his rights have been up in the air. He has made a resurgence in popularity lately though as he could appear int he new Hasbro cinematic Universe that is rumored to happen. We shall see where ROM will appear next.